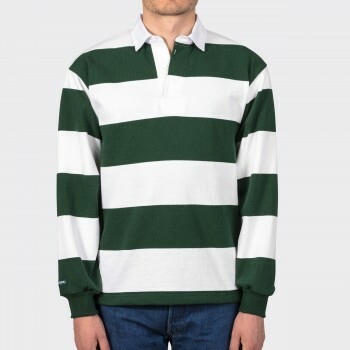 Barbarian has been making rugby jerseys since 1981 for international rugby teams and Ivy league collegiate associations. 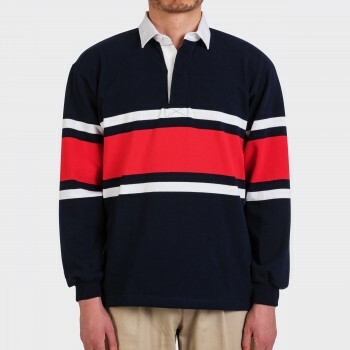 Everything is made in Canada, from the fabric directly knitted in their factory to the last details of the garment. 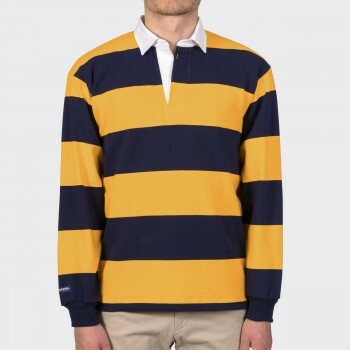 Synonymous with quality and built to game day specifications, Barbarian is one of the few truly authentic brands of rugby apparel. 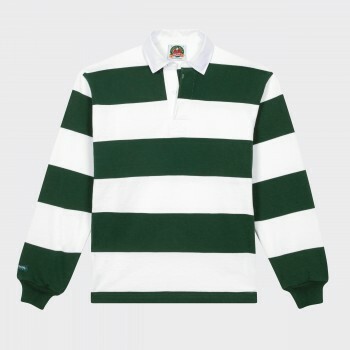 Their traditional - on field - game cotton jerseys is made to last. 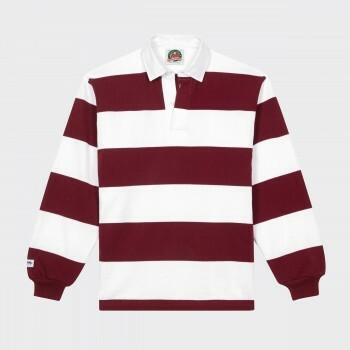 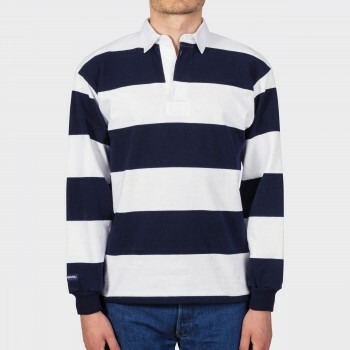 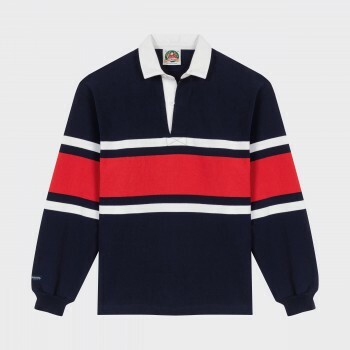 Their most popular stripe pattern is based on the original rugby shirt designs of the late1800s with large bold 4 inch stripes. 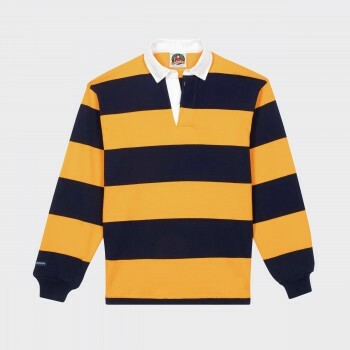 Our most popular stripe pattern is based on the original rugby shirt designs of the late1800s with large bold 4 inch stripes. 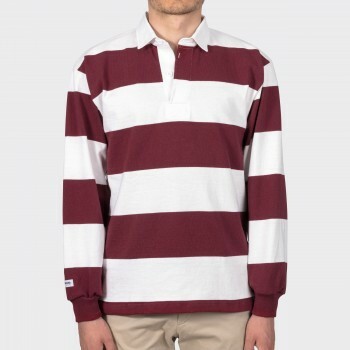 These shirts are sewn from the finest quality 12 oz. 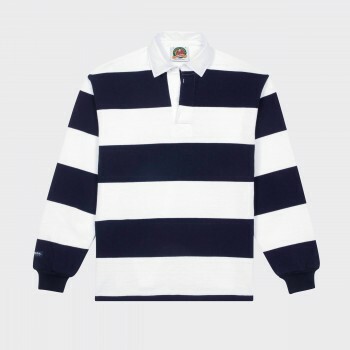 knit cotton and made to authentic game-day specifications that feature reinforced classic plackets, underarm patches, reinforced neck, seamless stretch cuffs and rubber buttons.